Can I Afford an Ambulance After My Injury? When you have sustained an injury in a severe accident, it is important to seek immediate medical care. Only a trained healthcare professional can assess the severity of your injuries, and this assessment can be essential to winning a personal injury lawsuit in Southern California. Yet the high price of an ambulance ride can deter injury victims from seeking immediate treatment after an accident. Should ambulance bills really cost such a high price? And why are they not covered by all health insurance plans? An article in the New York Times reported that a swim instructor in La Jolla, California sustained an injury in the pool where she worked, and another person at the facility called 911 for an ambulance. The victim, Kira Milas, 23, had “swum into the side of the pool, breaking three teeth.” The ambulance arrived, and it took Milas to Scripps Memorial Hospital. Paramedics applied a neck brace as a precautionary measure. While Milas is one of the lucky accident victims who did not necessarily require an ambulance trip to the hospital, her story about the massive ambulance bill is all too common in Southern California and, indeed, across the country. A week after her release from the hospital, Milas received a bill for her fifteen-minute trip to Scripps Memorial Hospital totaling nearly $1,800. Fortunately for Milas, her ambulance bill was paid by workers’ compensation insurance. However, it is not uncommon for an ambulance ride like Milas’, covering fewer than ten miles, to cost upwards of $2,000. For low-income injury victims, the prospect of paying for an ambulance can result in failing to receive the proper treatment and at the right time. Even patients with health insurance can end up with a costly ambulance bill. To be sure, many patients simply do not have coverage for an ambulance ride. And the pricing can vary drastically depending on who is running the ambulance. Some ambulances are run by fire departments and volunteer groups, while other are run by hospitals and private companies. In short, “no two are alike,” according to Dr. Robert E. O’Connor, who serves as the vice president of the American College of Emergency Medicine. Given that the pricing varies widely, it is often difficult to estimate the out-of-pocket expenses for a particular patient. And because ambulances typically only transport patients in emergency situations, there is not a lot of time to “shop around,” so to speak. If you were injured in an accident, it is important to receive proper medical care. 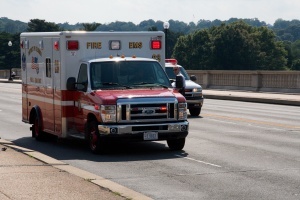 Although ambulance rides can be expensive, they are very important for ensuring that you get the treatment you need. In accidents caused by another person’s negligence or wrongdoing, you may be eligible to seek financial compensation. Contact an experienced San Diego personal injury lawyer today to learn more about how we can assist with your case. We may be able to help you negotiate the cost of your ambulance ride in addition to providing counsel for your personal injury claim.